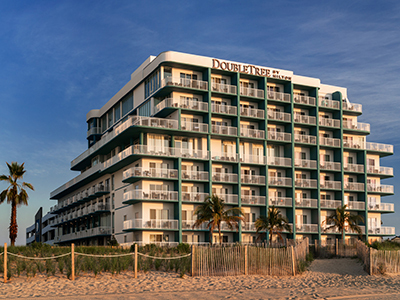 This year, make the very most of Valentine’s Day with someone special at the DoubleTree by Hilton Ocean City Oceanfront. Enjoy champagne on your private balcony and a three-course meal for two at the hotel’s award-winning Marlin Moon restaurant. Wake up early and watch the sunrise or sleep in late with a 12pm checkout. Give your significant other a stay they’ll always remember with this perfect romantic getaway. *Some restrictions apply. Prices are based on double occupancy, additional nights available. Special valid 2/11 through 2/22. Beverages and gratuity not included. Restaurant reservations are required and space is limited, so call the hotel direct at 410-289-1234 and reserve your Valentine's Day Package today!